The First Annual Dinner was held at Frascati’s on 26th February 1904 and the Tickets were 6s each, including wines. The Dinner and Musical Entertainment was a great success. However, the First Balance Sheet in 1904 showed a deficit of £18/11d. In 1910 Rules & By-laws were first adopted and the Club was registered under the Licensing Act 1902. 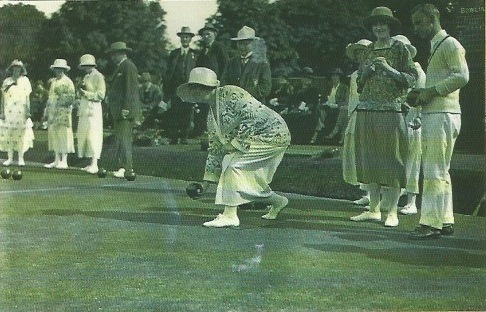 The present Green opened in 1920 and bowls was peacefully enjoyed from 1921 to 1939. Whilst other backlands sites around St Quintin’s were being turned into allotments, the Club continued to provide the Members with facilities to bowl throughout the whole war period from 1940 to 1945, in spite of near misses by bombs and land mines. In 1945 the Club became clear of debt for the first time. The 1953 Golden Jubilee was suitably celebrated and in 1963 the Diamond Jubilee was celebrated with the Mayor attending the Annual Dinner. From 1968 to 1978 the Club garden was an annual Prize winner of the Kensington and Chelsea Gardens Competitions, and in 1970 the Garden took three trophies. In 1970 HRH Princess Alice, Countess of Athlone, paid a visit to the Club and gardens, and the Mayor and Mayoress were guests at the reception and Annual Dinner in the Pavilion. 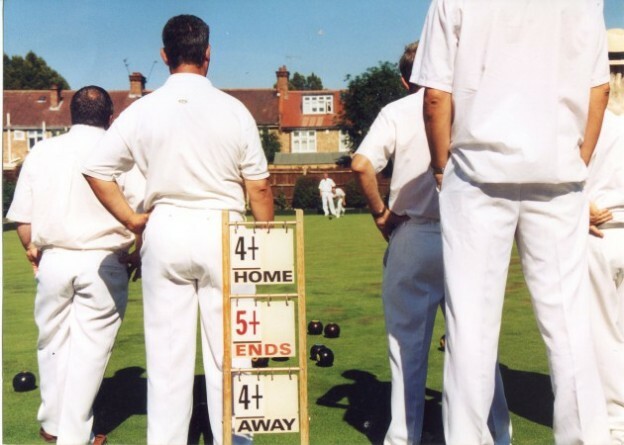 Throughout the years the Club produced many Champion Bowlers and won several Cups.